Ian Rhett has made mistakes when it comes to the only woman he's ever wanted, and all he wants is a chance to show her that he can be the man she needs him to be. He's determined to make things work between them and he's stubborn enough that he won't be giving up. Sydney Jarvis trusts Ian with her friendship and her body, but she made the mistake of trusting him with her heart once and she isn't so sure she should trust him again. She wants him in her life, and he'll be there one way or another, but she isn't sure she can let go of the past to move forward. Secrets are discovered that strain their relationship even more, but these two have never been able to stay away from one another. Will their history help hold them together as they work out their kinks as a couple or will it be the very thing that causes their relationship to end? 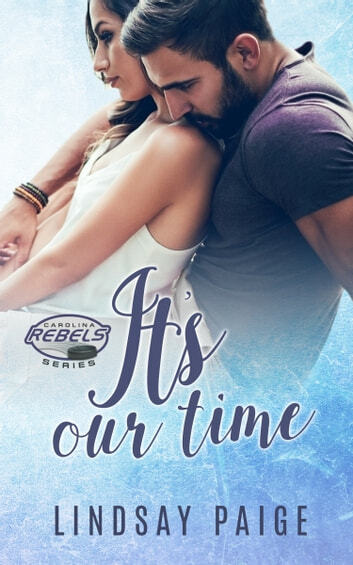 Lindsay Paige scores with IT’S OUR TIME, the third book of the Carolina Rebels series. Since he was a teenager, NHL defenseman, Ian Rhett, has only wanted one woman, Sydney Jarvis. Mistakes were made, and secrets were kept. Ian’s goal is to convince Sydney to give their relationship another shot. 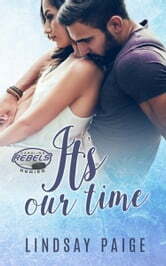 This contemporary sports romance takes place in North Carolina. It is suitable for adult audiences. Lindsay Paige does a great job with her character development. Ian and Sydney are believable and likeable. They have faults and grow through the story. They have known each other for six-years; however, they still have a lot to learn about each other. They have wonderful chemistry. They are two people you want to see work things out. Savannah is cute. I love the things that came out of her mouth. The plot was well laid out and convincing. I like how the previous characters in the series were utilized throughout this book. There was a lot of family drama that caused complications. I enjoy Lindsay Paige’s writing style. Her stories are genuine and heartfelt. I am looking forward to Scott and Sylvia Boyd’s story the next book in the series, AN UNEXPECTED LIFE. I voluntarily reviewed an advance reader copy of this book.